Download classic RPG, Role-Playing-Games. Create your own character, discover the mysterious world, full of magic and fantasy dragons. RPGs have a lot of success among the players, an example might be Moonstone. The best downloads in category are Prince of Persia 2, Dark Sun 2 -, Black Crypt, Ravenloft - Strahd's Possession and Ishar 3. Another great part RPG from SSI. It is based on the principles of the Advanced Dungeons & Dragons: Forgotten Realms. The task is to save people from hostile forces. Cool, old RPG game. During the mission you will have to fight monsters and collect various items to help you further prepared. 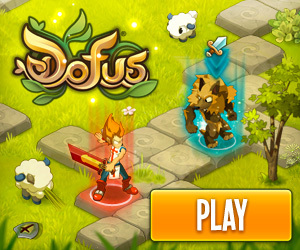 Interesting and addictive RPG, you need to check out! The game is based on the second part of the Lords of the Rings trilogy by Tolkien. Two faith is a great adventure RPG. You'll find many familiar characters from the book. Your task is to bring them to the goal of two faith. Then the magic ring will be destroyed. You wake up from a long sleep, it turns out that we already have XXV age. You play Buck Rogers in the symbolic hero of ancient times. When you wake up to join the New Earth Organization to help defend themselves against the planet. Adventure RPG Aleshar is located in the cold world of ice. As usual in these games you can create your own character and influence its characteristics and skills.